Buick sales increased 7.4% in October with sales totaling 20,046 units. Retail sales were up 6.6% at 17,366 units delivered, good for the brand’s best October at retail since 2003. The Buick brand’s gains were earned entirely on the merits of three vehicles: the Encore and all-new Cascada and Envision. 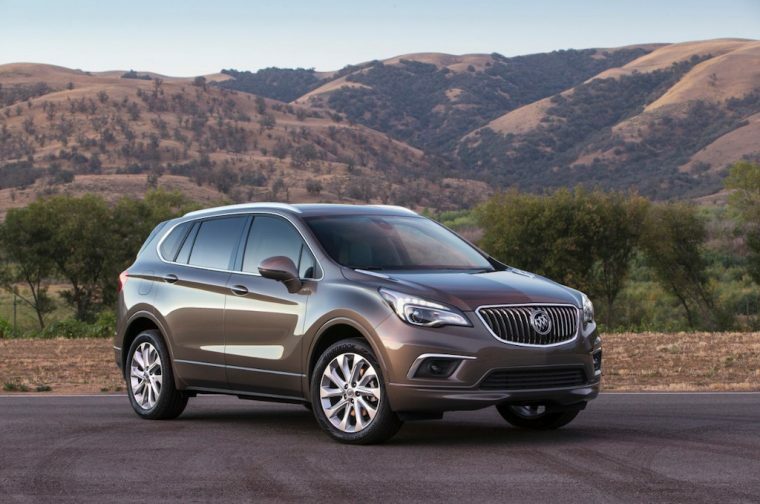 Overall sales of the Encore increased 8% year-over-year at 7,164 units delivered; this boosted Buick’s to-date Encore sales to 63,648 units, 13.8% than sales of the Encore were through the first 10 months of 2015. The new Cascada added another 361 units to its total, bringing the number of convertibles sold this year to 6,157. Envision sales were solid at 2,351 units, bringing the total number of sales for the new crossover to 8,477 units. For every other Buick vehicle, sales were down double digits in October. Sales of the LaCrosse fell 16% at 2,500 units, sales of the Verano were down 13.3% at 2,336 units, sales of the Regal were down 20.4% at 1,317 units, and sales of the Enclave were down 14.6% at 4,017 units. Buick notes, however, that sales of the LaCrosse were up 13% at retail. Through 10 months, Buick’s overall sales are up 1.8% with 189,813 vehicles delivered. In that time, sales of the Regal have increased 6.5% at 16,778 units delivered; and despite the sales drop for the Verano in October, the number sold was enough to keep its sales flush with the running total through October of last year. Retail sales are up 3.7% at 165,794 units, good for the brand’s best total through October since 2005.